I have been supporting new families in my personal life and as a volunteer for many years which led me into supporting families professionally as a postpartum doula in 2013. When I had my own children, my husband and I were living far from our families and we lacked a strong social network. 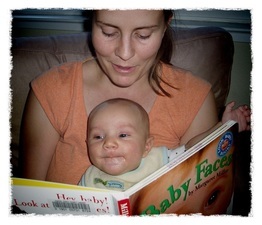 Caring for a newborn is overwhelming at times and we had a lot of questions. When our second baby arrived, it was especially strenuous. If only we had known at the time that we could have called upon a postpartum doula for some guidance and support! 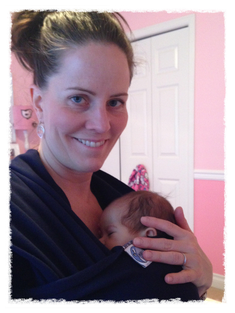 I am a Postpartum Certified Doula with NAPS (Northwest Association for Postpartum Support) and DONA International. I am also a Certified Lactation Educator. I have a B.A. from Western Washington University majoring in American Cultural Studies. Prior to my job as a full time mom, I worked as a case manager guiding individuals into new careers and employment. I also volunteered as a parent mentor to a young family through an Eastside home visiting program called Healthy Start. I facilitated a PEPS (Program for Early Parent Support) group for moms of infants. I am a proud mother of two school-aged boys and auntie to twelve wonderful children. I enjoy my work as a postpartum doula. I feel honored and humbled to be the person families can rely on to provide support and nurturing as they bond with their newborn. I am certified in Adult/Infant/Child CPR through the American Heart Association through 11/2019. I have been vaccinated against Pertussis (whooping cough) and had the 2018/19 flu vaccine.